A focus group is a form of research that collects qualitative data like thoughts, feelings, motivations and experiences. It is a helpful tool when conducting market research on a product, campaign, audience or event. How do we conduct a focus group? Focus groups are held in a third-party location, such as a hotel meeting or other well-known location with people who meet certain characteristics, such as age, interests, habits or who are customers or patrons of the sponsoring organization. A focus group typically involves 8-10 people and is designed to be a comfortable, conversational environment. Typically, several focus groups will be conducted, rather than just one or two, because this offers greater confidence of accuracy. The groups are led by an experienced facilitator. This leader does not participate in the focus group discussion but guides the conversation to ensure productive research. The leader will ask questions and lead activities that allow the participants to share their perceptions and ideas. For instance, Nancy Wiser has conducted focus groups for more than 25 years in Kentucky, Ohio, and Michigan. Topics she’s facilitated include healthcare, utilities, education, faith, and technology. She said she always is impressed with the ideas and perspectives people share and that clients take the information to heart. Often, those who participate in a focus group receive a payment, often called a stipend or incentive, for attending. 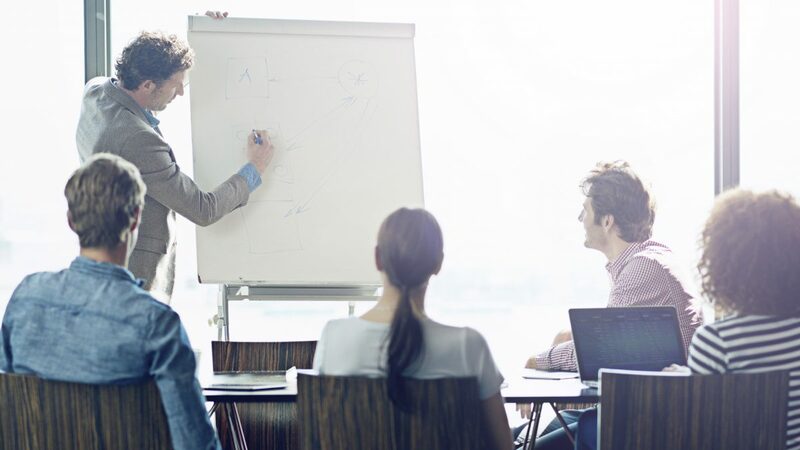 But, more importantly, focus groups usually are enjoyable discussions that enable individuals to think about a topic in ways they haven’t before. It can be rewarding to provide input on products, services or even public health and safety issues. Facilitators say most participants thank them for the opportunity to be a part of the session. 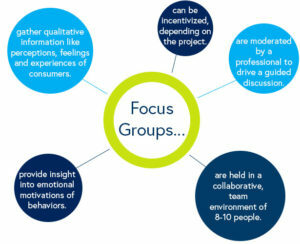 Why do we use focus groups? This kind of research is different than a survey or poll because it allows the participants to share the emotional or personal side of a topic. A focus group allows each person to share more in-depth experiences, opinions and perceptions of relevant issues. This provides invaluable insight into what motivates and catches the attention of an audience. With a collaborative feel, focus groups encourage participants to say what’s on their mind regarding the topic and provide their unique input. When coupled with a quantitative tool, like a survey, these methods provide a well-rounded study of our audience and effectiveness of the topic being studied.